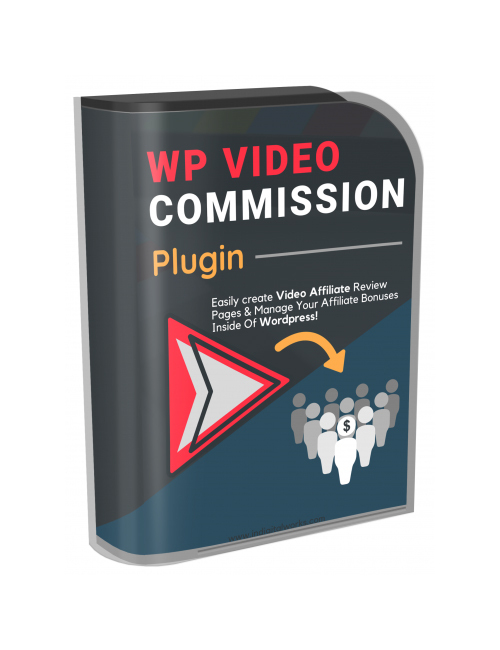 WP Video Commission allows you the ability to create awesome video affiliate review pages in WordPress. This plugin is perfect if you’re involved in affiliate marketing as this plugin takes your game up and up with terrific video review pages. You can include bonuses and collect emails and deliver bonuses. Affiliate marketing is one of the biggest online marketing models which has made many marketers truly rich. What makes it so powerful is the fact that it’s so easy to do with nothing to create on your end. It’s all about promoting other people’s products and making a commission. As the world has gone much more toward videos, that increases your opportunity to get more clicks and conversions. People love videos as evidenced by the increasing number of video views across the board. Mobile and YouTube together have truly changed the game when it comes to content consumption. Long winded articles while still powerful don’t gain the same amount of views as videos. So when you’re doing reviews, rest assured that many more people would rather watch videos before making a decision to buy. Video means more people are likely to take an action. And statistically that is the exact case. When you’re ready, grab this awesome plugin. Easy to install and ready to create magic.